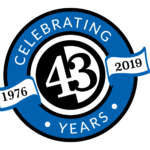 For over 43 years, Skip's Sprinklers has been family owned and operated. Our sincere commitment to quality means we do things right the first time, every time. Our founder, Skip, believed in the finest service and quality in all aspects of the business. That’s why we our proud to carry the name Skip’s Sprinklers today. 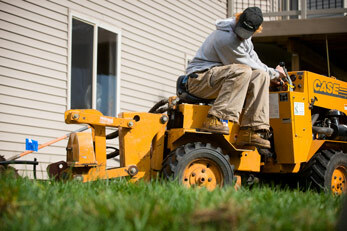 At Skip’s Sprinklers, we don’t take shortcuts, and we get it done right. We believe in unparalleled quality of work and outstanding customer service, it was Skip that pioneered this belief that the customers satisfaction is what makes a business thrive. We strive to maintain his belief in all of our work, and the results speak for themselves. Your backyard can be the perfect refuge at times. There’s just one problem, only a few people know that a hydrated lawn and some simple lighting can add wondrous beauty to your entire yard and home. We not only service your lawn at the time that we’re there, we stick by you, and do our best to make your lawn a haven for you to enjoy the peace of your own yard. If you are outside of our locale, there’s no need to worry, please give us a call anyway and we can refer you to trusted professionals in your area. 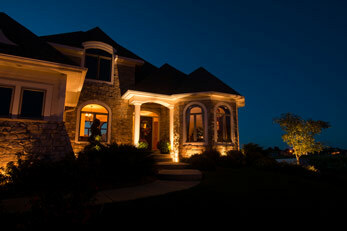 We provide unique landscape lighting solutions that will help enhance the warmth of your home, which in turn helps increase property value. 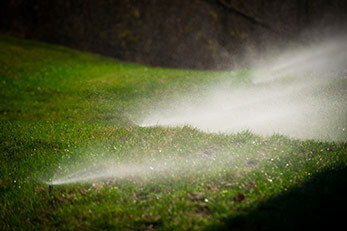 At Skip’s Sprinklers, we do not compromise the quality of our work by taking shortcuts and the easy way out. We believe that every project is worth doing right, and that’s why we are the name to trust when it comes to top notch installation and servicing. When you work with us, you’ll have the peace of mind knowing that we only use the best equipment and the right practice to achieve effective results for any Minneapolis sprinkler system. When it comes to installing and maintaining sprinklers and irrigation systems, we get it right the first time, every time. Don’t wait for your beautiful lawn to start wilting! Contact us today and let’s talk about how we can help you. We service and care for sprinkler systems of residential and commercial properties around the twin cities and Hastings area. Enjoy the outdoors longer and even increase the value of your home with professional quality, comfortable outdoor lighting. We don’t compromise on quality. We use the best equipment and most efficient practices to ensure that your needs, and our standards, are met.